The closer we get to Spring the more our thoughts (may) turn to a bit of “Spring cleaning”. Some things just can’t wait that long, however. I decided to do a little “sprucing up” around the Digging History web site this week. The newly redesigned site is up and running, complete with a store for Digging History Magazine (and a budget-minded way to purchase a monthly genealogy research subscription, I might add). I cleaned out some obsolete stuff and spiffed up the blog a bit by adding back some stories I had previously taken down. 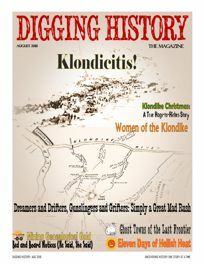 From time to time articles will be taken down and undergo a complete re-write with new research, footnotes and sources, and be published in Digging History Magazine, a bi-monthly publication available by individual issue purchase or subscription. A good example of a more extensive (and abundantly more interesting) story was that of Nellie Ross Cullens-Norwood. The original article was one of the first “Tombstone Tuesday” articles I wrote back in 2013, and interesting enough after I decided to cast my search for a Find-A-Grave entry to the far reaches of Alaska, near the Arctic Circle. I found an entry with a small metal plaque of a woman in her late 70s buried in a small cemetery in Circle, Alaska. I figured there had to be a story — I was right. I decided to do more research and include Nellie’s story in “The Dash” column (the magazine’s version of “Tombstone Tuesday”) for the August 2018 issue. That issue highlighted characters and events of the Klondike and Alaskan gold rushes of the late nineteenth and early twentieth centuries. The original article, admittedly, contained many “unknowns”. The 2018 article was enhanced by new research and answers to many gaps in Nellie’s story. More digging and a fair amount of newspaper research revealed more about the possible “why’s” of an aged Nellie living by herself, far away from family. For a genealogist, these types of discoveries are pure gold. Speaking of “genealogical gold”, that particular issue featured another article, entitled “Mining Genealogical Gold: Bed and Board Notices (he said, she said)”, an entertaining article about the ways husbands and wives had it out in newspapers by posting “bed and board” notices. Back and forth they went with what we today might call a “Tweetstorm”. Speaking of sprucing up, every good genealogist should do a little house-cleaning or “leaf-raking” now and then. The October 2018 issue features an article, entitled “Genealogically Speaking: It’s Time to Rake the Leaves”, which explains some of the rather dubious “leaf hints” we all see on Ancestry.com. Some simply are not to be trusted, while others should be used with an abundance of caution. That issue also included some previous blog articles cobbled together for an article, entitled “Are You One of Those Kind of People?” (referring to people who love to snoop around old cemeteries, bwahaha!). Some might wonder why I now require payment for stories (via individual issue purchase or subscription) which I formerly wrote for free. That’s a good question. Many, many (many!) sites like this one appear to freely publish articles, but may utilize ad-targeting campaigns (unbeknownst to the reader) or include super-annoying ads on their sites in order to monetize the blog. I, on the other hand, have a strong aversion to such tactics, especially the super-annoying ads (as I’m sure you’re aware, some of them are downright disgusting!). I don’t like them and I don’t think readers like to be bothered with them either. These types of tactics lead to an increase in your email spam, among other things. I expend a lot of time and effort researching, writing, editing and publishing the magazine because I want to share my passion for history and genealogy. I would also like to receive some remuneration for my efforts — the good old-fashioned way by earning it without all the machinations of Internet ad-targeting and such. 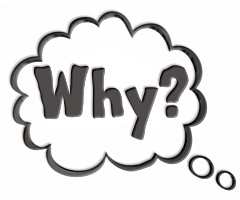 If you sign up to either follow this blog or become a magazine subscriber, you will never see anything in your inbox that isn’t related to this site (as in, I “sold” your information to someone else). Ain’t gonna happen! Sprucing up is done (maybe a little “spunging”) . . . time to get back to work researching, writing, editing and publishing the March-April issue. Stay tuned! P.S. A free issue (“try-before-you-consider-buying”) is available to all who sign up to follow the blog. See the area in the upper right-hand corner of this page to do so. 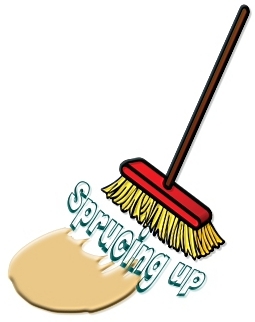 “The meaning and origin of the expression: Spruce-Up”, accessed at https://www.phrases.org.uk/meanings/spruce-up.html on January 22, 2019.